XIAMEN, June 17-- Top political advisor Yu Zhengsheng has stressed adherence to the 1992 Consensus and opposing "Taiwan independence" as the key to ensuring the peaceful development of cross-strait relations. 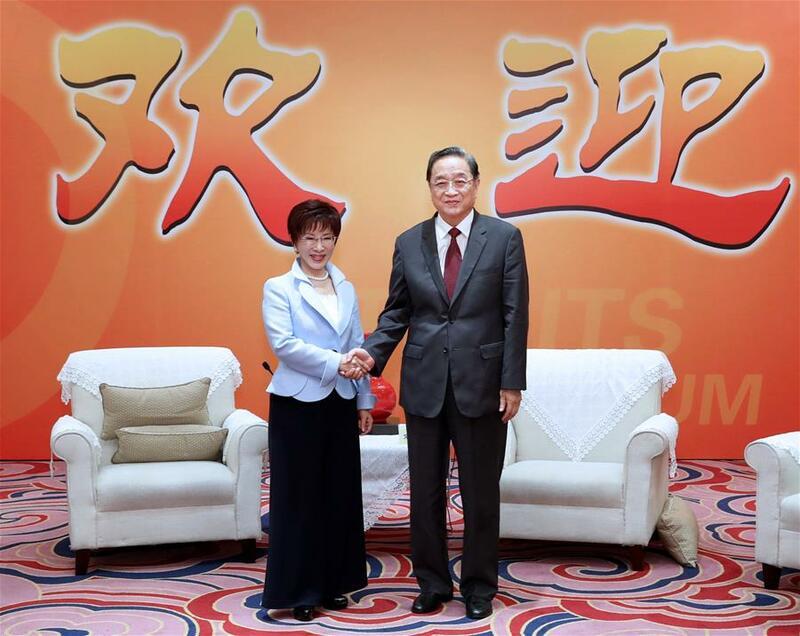 Yu, chairman of the National Committee of the Chinese People's Political Consultative Conference, made the remarks Saturday while meeting representatives of the attendees at the ongoing 9th Straits Forum. The core of the 1992 Consensus is the one-China policy, which states that both the mainland and Taiwan belong to one and the same China. It explicitly sets out that the fundamental nature of relations across the Taiwan Strait are not state-to-state relations. Yu called on the DPP to clarify the nature of cross-strait relations and implement it through action.